Jimmy Carr - With an astonishingly vast repertoire and lightning-sharp delivery honed from fifteen years at the top, Jimmy Carr is gathering a selection of his very best jokes along with brand new material for the ultimate comedy show. Jimmy Carr has been on the stand-up scene for a decade and a half. In that time he’s performed 9 sell-out tours, playing nearly 2,000 shows to over 2 million people across 4 continents. He’s won the British Comedy Award for ‘Best Live Stand-Up Tour’ and been nominated for the Perrier Award. 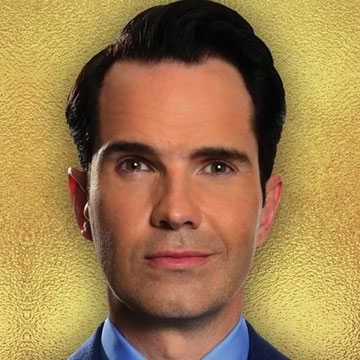 Now all that experience is being put to good use – you can see all the greatest material from his extraordinary career in one show - this is the very best of Jimmy Carr.